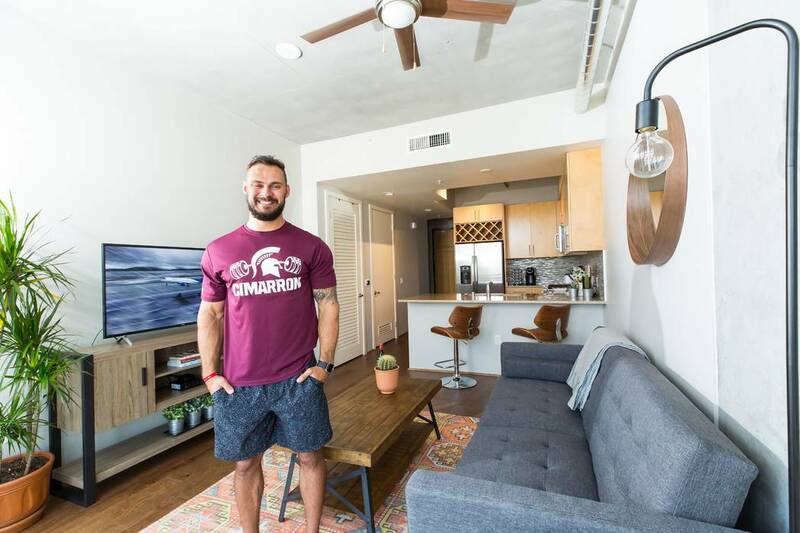 When Shawn Kijewski received an opportunity in 2016 to become the director of strength and conditioning at Cimarron High School, he packed up his bags and moved from Detroit to Las Vegas. Little did he know it would take nearly two years before he would find home sweet home. Kijewski said he prefers downtown’s unique urban scene over living in the suburbs. In addition to the area’s vibe, he loves downtown’s location. “Downtown Las Vegas is centrally located to everything I want and need. Even though I teach in the northwest part of the valley, the freeway is easy to access, and it takes less than 15 minutes for me to get to work. I’m also VIP table security at a popular Strip day club, which isn’t more than a short drive down Las Vegas Boulevard,” Kijewski said. He frequents Greens and Proteins in The Promenade on the ground floor of Juhl, and also loves dining at Park on Fremont and enjoying cocktails and the social scene at Commonwealth. “And, because maintaining my physical wellness and health is a priority for me and my profession, I especially appreciate the state-of-the-art, two-story fitness center right in the building,” he said.